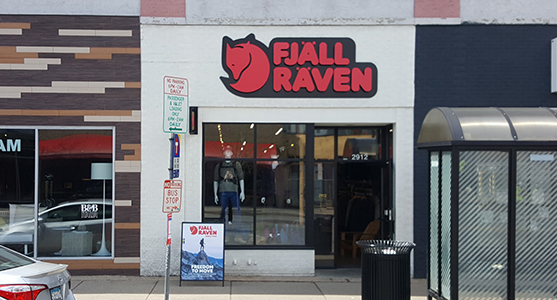 Nestled between the shops and restaurants of the uptown commercial district, Fjällräven Uptown is the place to get all the latest gear from your favorite outdoor brand. We are the official Fjällräven brand center in Minneapolis. Each of our sales associates are experts on our products. If you ever have any questions about waxing, repairs, or general care, feel free to drop in or give us a call. Let us help you pick out gear for your next adventure into nature. Our mission is to develop timeless, functional, and sustainable outdoor equipment. Our products have a Limited Lifetime Guarantee for the original purchaser against manufacturing defects.